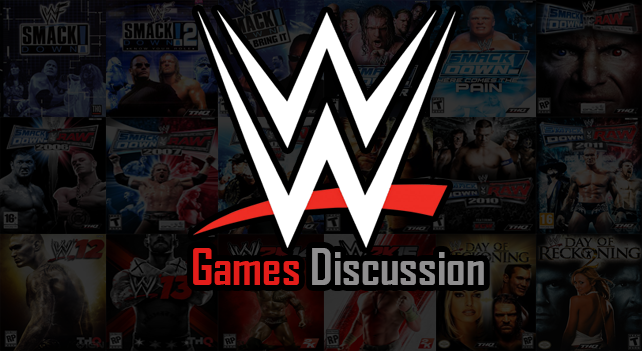 Discuss all WWE Games here. Credit to Chaz for the banner. I never bought 2k14 just because it takes a really good game to get me to buy it and play it, and 2k14 didn't give me nothing. New additions to the Roster. This is pretty much guaranteed considering the changes within the Divas. I'm kinda looking forward to seeing the Bellas this year just because of their attires and move sets. Also Funkadactyls seem like a big possibility. Tamina most likely. Paige.. I just feel like they need to include more this year because of how many girls have been at the top of the Division at one point. Divas on that 'Superstar Heads' feature they added to 2k14. and Most Importantly.. Get shot of Aksana and give me back ALICIA FOX!! Lmao I am saying this but I probably won't even buy the game this year, the last game I bought was GTA IV and before that was WWE 2K13 so.. yeh but I just like to see what's new. And an NXT DLC Pack with Alexa, Corey and Adrian. There's no reason why they can't get the whole Divas roster maybe minus Emma and Paige tbh. Well all the superstars I want will likely be in: Justin, Cody, Cesaro + Barrett. Is this you admitting that you stan for Queenxie Carter and ODB? 2K14 was the very first game in the franchise that I didn't purchase. From Shut Your Mouth to WWE 13, I was practically first in line on the release dates, eager to get my hands on the latest installments. When I saw the pathetic diva roster for 2K14, I couldn't bring myself to spend that kind of money on what looked like a lackluster game. The series has plummeted downhill, but I think 2K might just revive it and give us a decent game this year. I really hope so anyway. We at least need Cameron and Naomi. Them not being in last year was honestly a joke. I've read in a couple recent articles that Paige's chances are very good. I have a feeling they might pull a Joy Giovanni and give us Eva Marie, which I wouldn't be too bent out of shape about. She would at least make a decent punching bag. Oh, and I would be ecstatic to see Alicia in the game, but I think we all know that's not going to happen. It's wishful thinking cause realistically speaking it would be Sasha, Bayley and Charlotte. realistically speaking it would be Charlotte. "For relevant reasons. Once in a while you'll shoot texts back and forth with somebody, or if there's some business thing going on, like if they need something signed or a scan for a video game or something like that but it's not like I talk to the WWE every week and give them my thoughts on what's going on with them or they call me and give their opinions on what I've been doing." THQ never scanned, WWE games haven't had models scanned since WWF Attitude so this confirms Superstars and Divas will be scanned for 2K15 and Justin Gabriel and Jericho are pretty much confirmed to be in. I thought AJ's model needed a little fixing in the face, thank you 2K. Paige to debut in the games with no messed up model. I wonder if the legends will look out of place then. Though I suppose they could scan legends like Rock, Hogan, Austin, Edge, Shawn Michaels, Trish and Lita. Models for young versions of Roddy Piper or a Jake Roberts would probably look cartoony like the current models. Wait, so they never scanned them? And if they don't have Alicia Fox, I'm not buying it. Simple as that. Nope. THQ used reference pics to create models and always did. They never scanned. Last game that the wrestlers were scanned for was WWF Attitude. We have the CAW mode for that. For development of WWE '13, they used scans. All textures for the models were still made from reference pictures. Even then, THQ would take pictures of the superstars/divas and of their attires at shows but they weren't scanned. It's the same way people have made custom textures for Caws on the games every year, they take bits from pictures to form the face and attire textures. THQ have said in interviews before the release of '12 or '13 that scanning would take far longer and too expensive for them to do at the moment. The EcoMotion scanning software that's being used in the Justin Gabriel pic is quite new and is only being used by the likes of EA on their sports games and 2K on their NBA 2K14 currently, which is now confirmed to be used on WWE 2K15. If the roster was scanned for '13 and then 2K14. The models would have had a huge difference from '12 - '13 which they didn't and models wouldn't look pretty much the same aside from attire changes on the likes of John Cena, Randy Orton, Undertaker, Triple H etc. The texture on most of their faces has been the same since 2011. I'm pretty sure I'm just going off of what Corey Ledesma said. He said he had people scan, so that ends that for me.